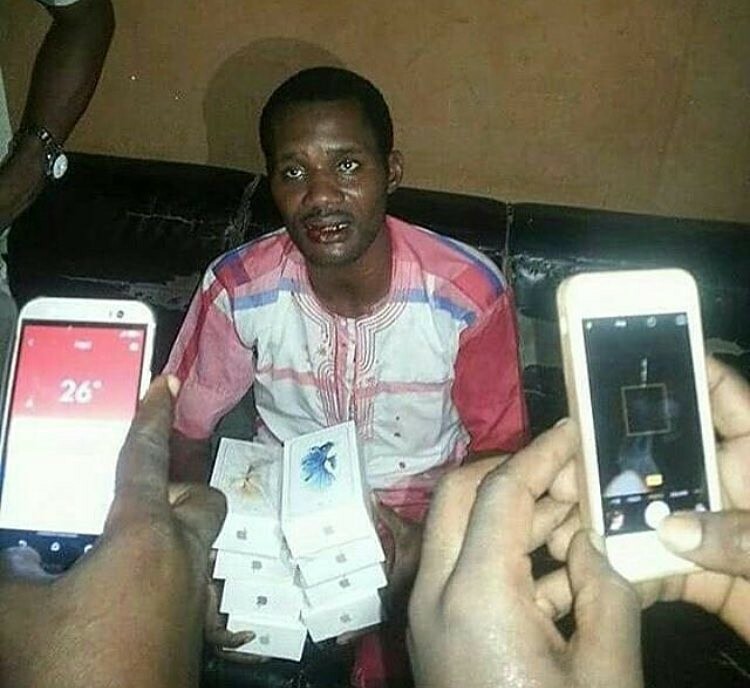 Toyin Aimakhu’s Ex-Lover, Seun Egbegbe Caught With 9 Stolen iPhones In Computer Village, Beaten To Pulp By Angry Mob. Nollywood Controversial actress, Toyin Aimakhu’s ex-lover, Seun Egbegbe, was this morning beaten to pulp by angry mob after he was caught with stolen brand new apple iPhones in computer village, Lagos. Report says, Egbegbe came inside Computer village with some guys in a jeep around 10:30am pretending that he wanted to buy 7 iPhone 6s and 2 iPhone 7 mobile phones. It was gathered that, Egbegbe, went into the phone store ‘Kaalcech Innovations and Consultancy’ located on number 9 medical road, computer village, ikeja and requested for nine iPhones, he pretended to be ready for payment after the phones were delivered to him only for him to elope into the waiting jeep before the the sales girl screamed for help. The noise which attracted sympathizers, helped as they gave Egbegbe a hot chase and eventually caught up with him before he could find his way out of computer village. The angry mob pounced on him and gave him the beating of his life before the store’s MD, Mr Kolawole Aleshinloye quickly informed the police who came and whisked him away to Area F Police station where he’s currently been detained.